First of all…..What is Dharma? Short description – When you live your true purpose and give your gifts fully, you are fully alive and living your fullest potential – your Dharma. Some people might say it is your God given purpose. How many of us can truly say we are living our Dharma? First of all – let me say that I am not a certified spiritual guru – a perfect human being – or anyone else qualified to tell anyone how to live their life. I am just a mom – who loves doing yoga – teaching yoga – and also happens to have a 5 year old little girl with autism. Hopefully I can weave all these pieces together to bring relevance back to my topic. Let me back up to 4 years ago yesterday….April 16 – 2009. This date is really imprinted on my mind…..and probably always will be. My 15 month old baby had stopped talking & communicating 2 months ago – and seemed more and more disconnected from all of us. She had developed completely typically – hit all developmental milestones – and then started going in reverse at 13 months. I was in denial – because it just seemed like a bad dream that I might wake up from one day. On that chilly day in April – we made our first visit to a developmental pediatrician. I let my husband do the talking – because I was incapable of being honest with myself – let alone any professionals who might slap a label on my child. We left with a diagnosis of PDD.NOS (she was too young for the autism diagnosis at the time – but did get it the following year) – apraxia, sensory processing disorder – and were told that she would most certainly have life long difficulties and limitations. Now I will stop right here and say – if you are looking for the “feel good” story of the year – where the child recovers completely and is now in mainstream school….this might be the wrong blog for you to read. It is still a good story – just not the one where the kid plays piano in a concert hall or sings on a cute you-tube video or something like that. Every year presents itself with new challenges and heartaches. She still struggles to talk – and when she does – only 15% is understandable…..even by me. She doesn’t notice people unless she knows them – and she has had trouble sleeping for the last 4 years. Some nights we only get 2 hours of sleep – if that. We spend most of our money on therapies – food (a very clean diet) – and diapers. Yes – a 5 year old who isn’t potty trained. Not for lack of trying! We spent the first 2 years after her diagnosis thinking that we could “cure” her. Exerting our will on her – flying across the country to see different doctors – spending thousands upon thousands of dollars for medical interventions and therapies. When we had little or no results – we just blamed ourselves – each other and God. Speaking solely for myself – I was (and sometimes catch myself going there) – bitter – angry, cynical and jealous of people who had “typical” kids. Even jealous of people who had kids with Aspergers. Such a terrible way to live your life – and I do not recommend it. At some point during all this insanity – I found yoga. I started going every single day….and I started to have “releases” (still do some days!) – …I would break out in tears during savasana. During the silence – during the moments in between the moments – I would start to feel. As days of yoga turned into months and years – the tears became joyful. I became more thankful – less bitter – less angry. I started to heal a little bit. I stopped comparing myself to others as much (still working on this one daily) – and most of all – I stopped comparing my child to others (definitely still working on this!). One day I decided I wanted to teach, and after much thought and support from my husband – I went to training. Through training I went through a lot – emotionally & physically. I had to keep letting old ideas die – and be OK with it. I had to find acceptance for my body – for my life – for my child. Sometimes I would go through a weekend of physically exhausting training on 2 hours of sleep. Then there was the fact that I was terrified that no one would want me as a teacher for 10,000 reasons in my own head. And then one day it happened. I was in front of a class teaching people. TERRIFIED. I stumbled a little on my words – kept going as smoothly as I could – while inside I was shaking and trying to evoke to Gods to carry me through the class. And then the class was over. I got smiles – thank you’s – hugs……”when do you teach again? where else do you teach?” They must have been talking to the wrong person….? But they were talking to me. The quirky gal walking around – speaking softly and asking people to relax and feel their breath moving them. I was on a CLOUD! Was this my Dharma? I didn’t have any idea – but it surely felt like it. A new level of transformation and healing has been happening in my life. My daughter – by living her Dharma – and just being herself isn’t “holding me back” anymore. Woah – wait a second – did I just realize that it wasn’t all about me? This autism journey is truly the hardest thing I have ever had to deal with in my life. But it has gotten better – some days it is beautiful – some magnificent – and some heartbreaking. The truth is that I can actually see the beauty now – and not only the pain. 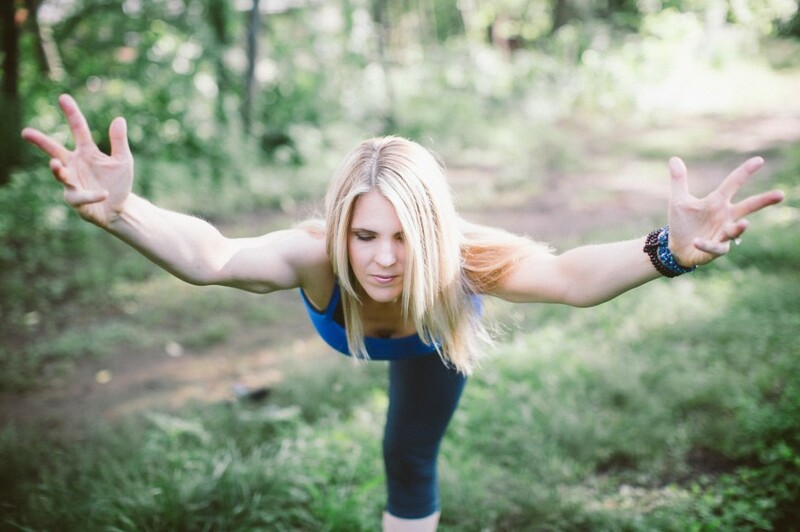 Stepping outside of myself and sharing something I love (yoga) – helps clear things up even more. Is that my Dharma? I don’t know. But it sure feels right from the bottom of my heart – so I will keep doing it today. Thank you so much for your wonderful and kind words Carrie! Just to be clear – by no means at all do I think any parent who has a child with a disibility has it easier than me! That was an old idea and a lie I told myself to make myself feel better. I think I have prayed the same prayer a million times or more….”Please help me to love and accept her exactly the way she is right now and CONVINCE me – that I would not change things even if I could”. A very tall order -and some days I am not there. But more peace and love now than ever. Not to say that won’t be tested 25 times tomorrow. I also have to say that as a mantra for myself. A lot. Not worrying about changing myself so much….being at peace with the way things are…and then the door of possibility eventually opens. Just came across your blog via your comment on Jen Pastilof’s FB page. I love how honest you are about your journey and am so pleased you have found yoga to help you cope and grow and give you a new purpose.Our burden/gift was infertility, and we are now blessed with two beautiful adopted children from China. Wishing you all the best through the difficulties and the joys of parenting your daughter. Thank you so much for your kind words! We all have our own journeys and struggles! I can’t imagine how difficult your path has been! Thank goodness we can rest in knowing that following our hearts and taking the next right action will always bring us closer in touch with our purpose! Thank you so much for sharing your story – and again for your kind words!